The European Parliament has voted in favour of proposals to create a new European Electronic Communications Code and official status for a body of European regulators. The vote, which follows the European Commission launching the proposals as part of its Digital Single market strategy two years ago, opens the way for the European Council to adopt a directive creating the code and a regulation establishing the Body of European Regulators for Electronic Communications (BEREC) on December 3. Once it is published in the EU Official Journal, Member States will have two years to transpose the Code into national law. “Today’s vote by the European Parliament is a positive and necessary step towards ensuring that the telecoms sector in the EU is fit for purpose. The new telecoms rules that will now be put in place as a result, are an essential building block for Europe’s digital future and a source of new digital rights for European citizens. They are crucial for meeting Europeans’ growing connectivity needs and boosting Europe’s competitiveness. In addition, they allow for the groundwork to be laid for the deployment of 5G across Europe,” said Vice-President for the Digital Single Market Andrus Ansip and Commissioner for Digital Economy and Society Mariya Gabriel in a joint statement. The pair said that the rules would “boost investment in high-speed and high-quality networks in every corner of the EU” as well as enabling citizens to make calls to other EU countries for a maximum of 19 cents a minute and send SMS for 6 cents. The Parliamentary rapporteur on the code, P ilar del Castillo, said that the legislation was “a necessary condition for the EU to benefit from digitisation”. 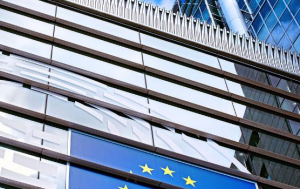 Competitive telecommunications operators’ association ECTA welcomed the vote but cautioned that EU member states must ensure that completion is preserved.